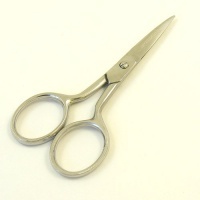 These 8 1/2" Mundial brand dressmakers shears are great for cutting clothing weight leathers as well as fabric. 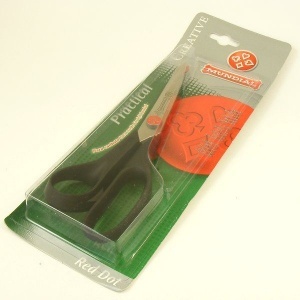 They're high quality, long lasting scissors with a lifetime manufacturer's guarantee. This is a left handed pair of scissors. 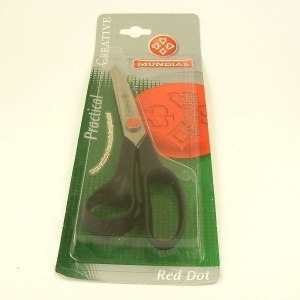 They are made in a mirror image to right handed scissors, with shaped grips which are designed for comfortable use in the left hand.